Please note: SpindleTalker only works with HuanYang VFD's. 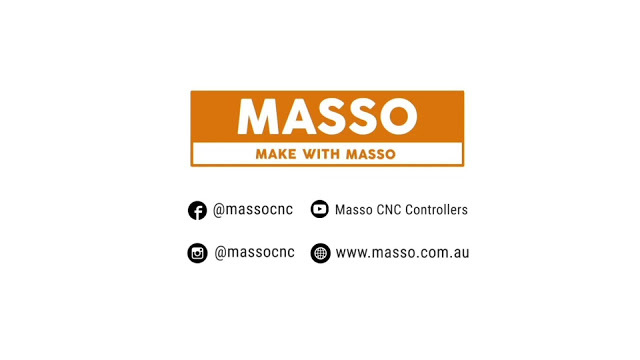 Please read the information on the website when you download the software. 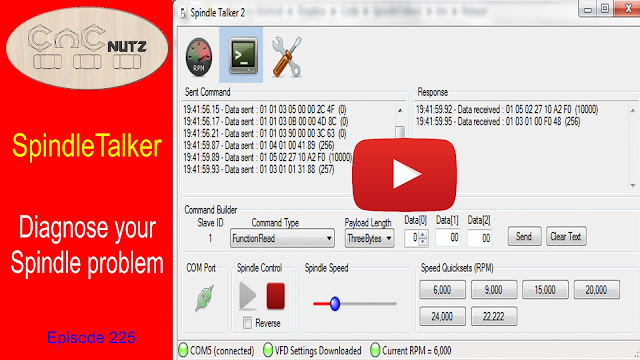 SpindleTalker is a program that can be used to help diagnose VFD connection problems by eliminating your CNC control software from the equation by talking directly to the RS485 adapter and VFD. Once you have the spindle working under control of SpindleTalker you can move on to connecting it to UCCNC or Mach3. Best of all SpindleTalker is very simple to install. Simply drag the 3 files in the zipped folder onto the desktop and away you go. The only requirement is that you have .NET Framework version 4.03 or higher installed on your Windows PC. Fortunately this is only a problem for Windows XP and can be resolved by installing it from Microsoft as demonstrated in the video. Note: You need an internet connection to install .NET as it will download files as it installs. If you are using the same VFD settings I used in my RS485 videos then the only thing you need to change on SpindleTalker is the Com port number to match your RS485 port. The rest of the settings should be the same. When you connect to the VFD it reads the settings from the VFD and displays it on the settings page. SpindleTalker might not solve your spindle install problem but it can be a big help by splitting the install into managable parts. It is a useful tool to diagnose and test. For those who are into learning more you can see the communication over the RS485 interface between the PC and the VFD. For most of us, if the spindle turns on and off and changes speed as it should then we will be happy and will never look at it again. Lets hope you will never need it.